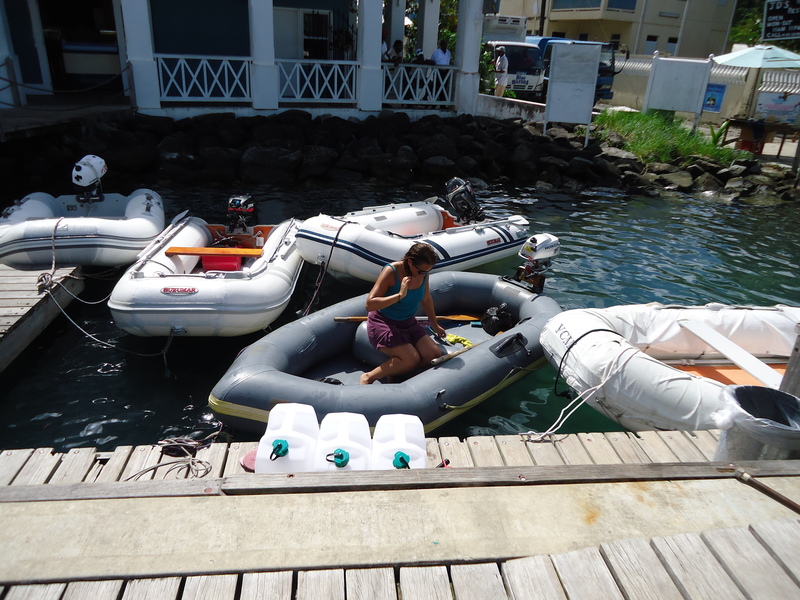 Well, we are still in Marigot Bay. It seems that time at anchor is addictive and we are in no rush to leave this paradise. 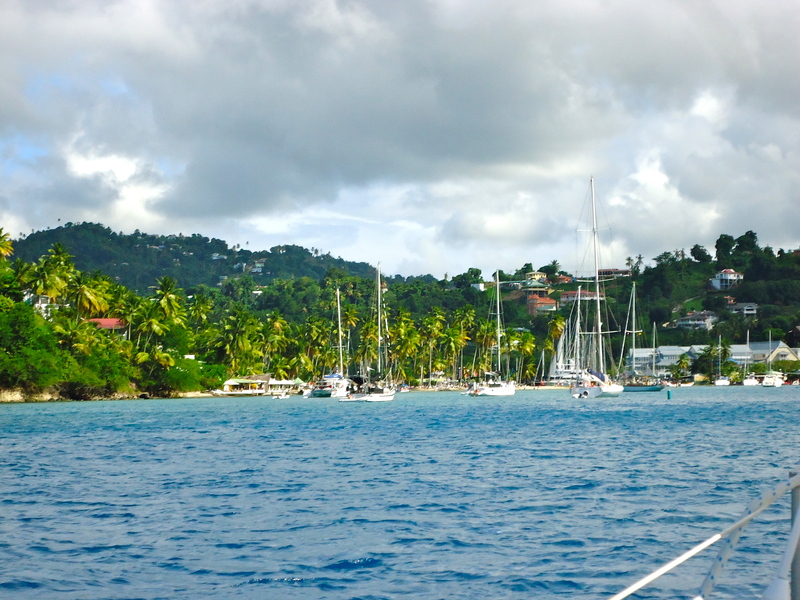 Our crew, along with their lovely girlfriends have now departed letting us and I leave you with some lovely photos below of our sail from Rodney Bay to Marigot Bay. The 9 mile sail went very well. No swell, clear waters and a 12 knot wind. 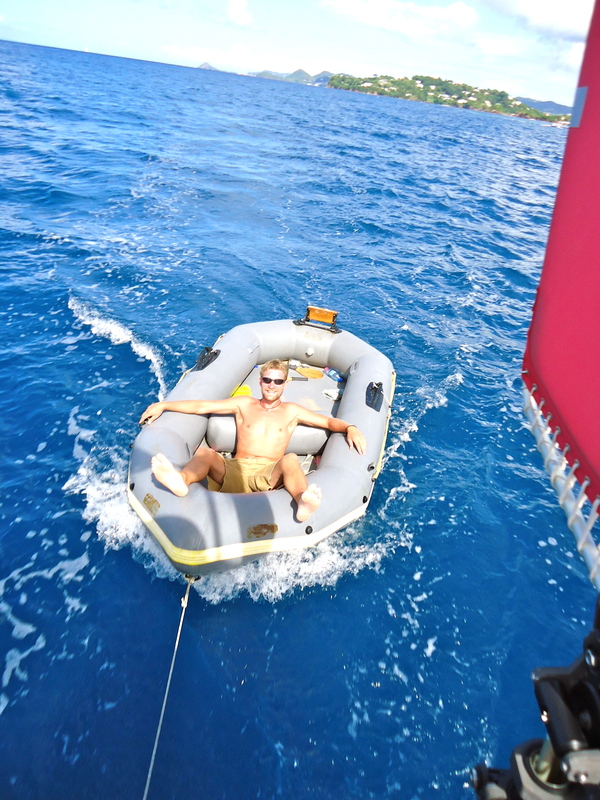 Will decided it would be more fun to dive into the dinghy and sit there to see life from a different perspective. 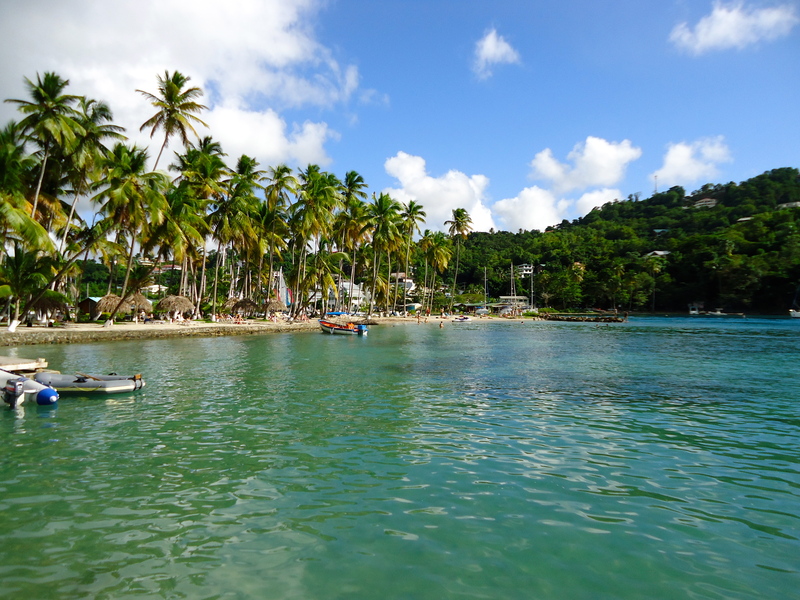 When we arrived in Marigot it was a scene you would dream about you; a long beach, palm trees and bars. The water here is so clear and I took the opportunity to dive down and check that the anchor had set. It is strange to be able to see the bottom of Troskala with less than a meter of water under her but on the minus side she needs a scrub. 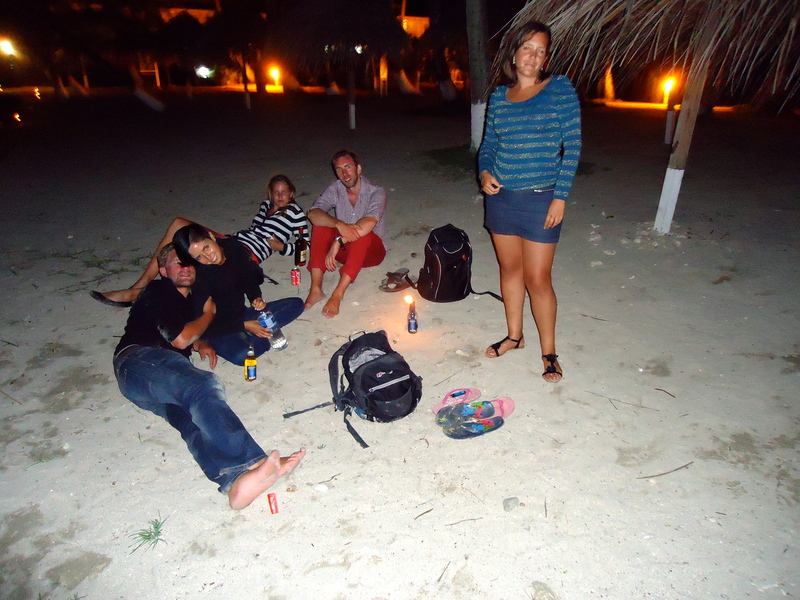 We welcomed in the New Year, slightly intoxicated on a beach under a palm tree watching some great fireworks. It is sad to have to say goodbye to such good friends but we will meet again soon and a big thanks goes to all. We have now spent 10 days at anchor and in this time a lot of decision have been made, so I hope you are all ready for a slight change of plan. Carlotta met an owner of a Super Yacht on the plane over to St Lucia, a lovely man who has an absolutely stunning yacht (101 foot). The Captain, Paolo and the crew, Emily and Dan have been nothing but kind in showing us the yacht and giving us amazing information on what it is like to run and manage such a Super Yacht. 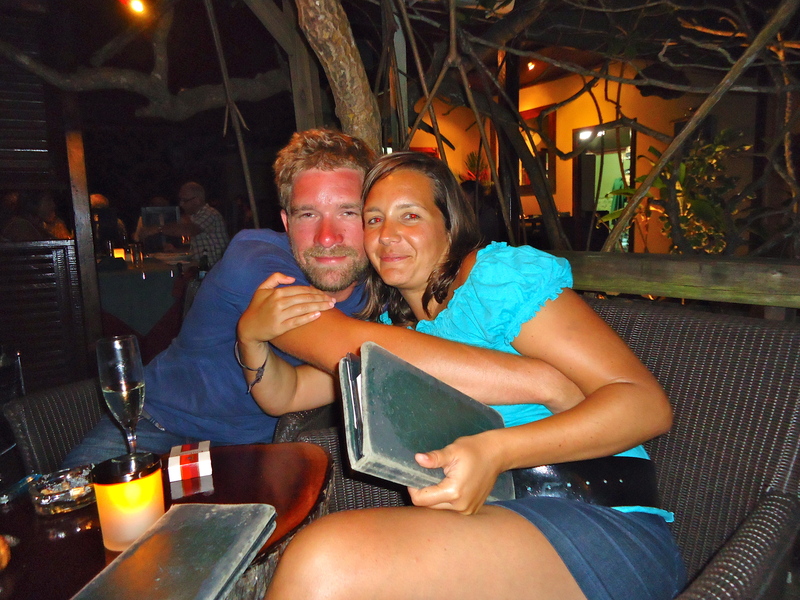 They have opened my eyes to a career that would suite Carlotta and I coming from a Hospitality and Sailing background. So after having a cup of tea with Paolo this morning he has listed the qualifications I need to be able to work in this industry. We have decided to work on gaining this qualifications this year so that we are licensed to work in this industry. It is amazing what decision can be made over a couple of Piton Beers. For now we will sail slowly north and will head to New England by August September where Troskala will be lifted and any repairs completed. Depending on work and our dream we will then head south and see what happens. Our future is a blank canvas at the moment and we have every thing to play for. 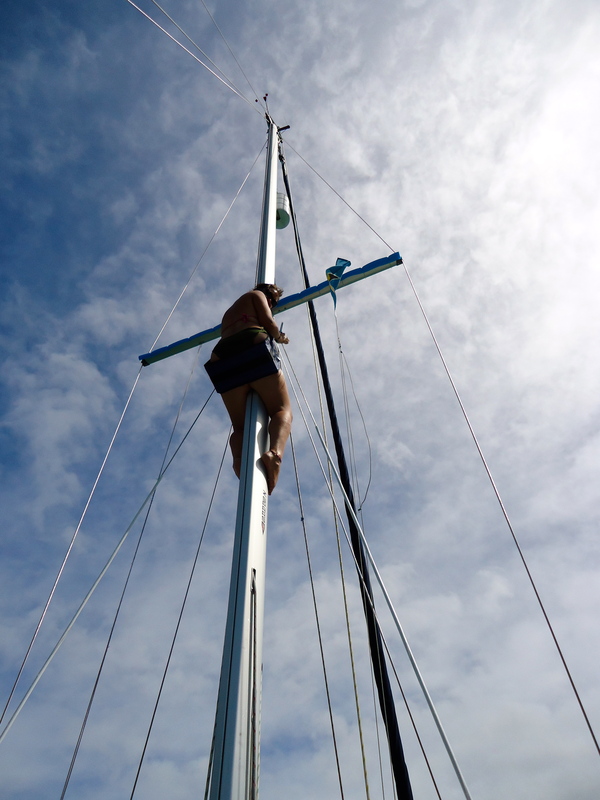 I have never felt so more confident on a career decision, well, apart from sailing around the world, so watch this space, we still have so much to do and see in the next few months. We attended a great party hosted for the crew of the Super Yachts in the marina and organised by a lovely gentleman who runs the marina called Bob. It was a great evening but my singing voice needs some work. 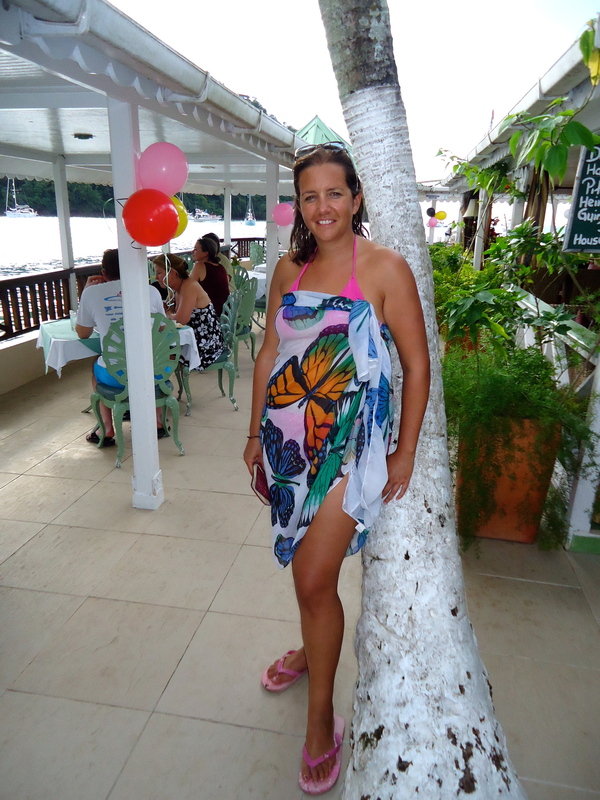 I wish you all the best and will post another blog as soon as we leave Marigot. Posted on 10/01/2013 by magneticdeviationTagged knot wind, nature, outdoors. 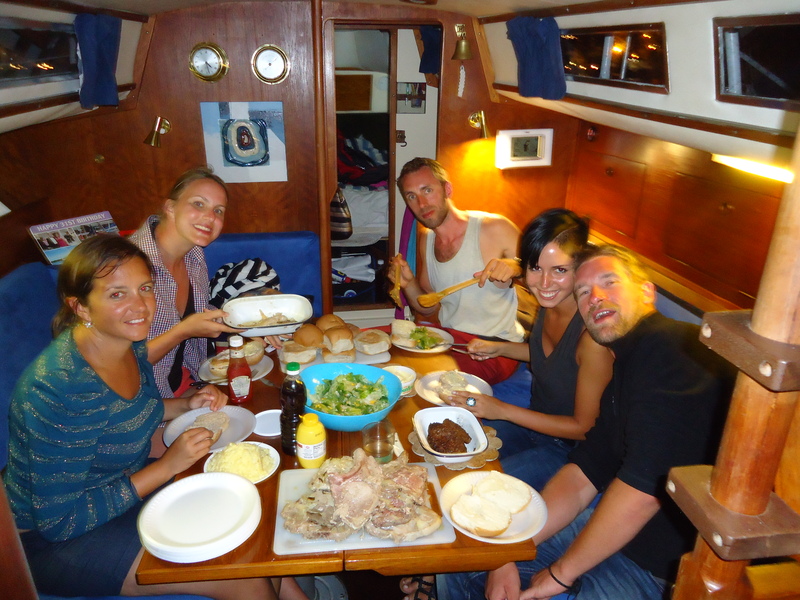 I have enjoyed reading your blog posts, and Carlotta’s infill while Troskala was at sea.Congratulations. Sounds like you had a challenging passage, and did well. And your photos are nice. Going to New England, we or some others could make suggestions about good places to haul out. New England is a good place to sail, but it does get cold there quite early. 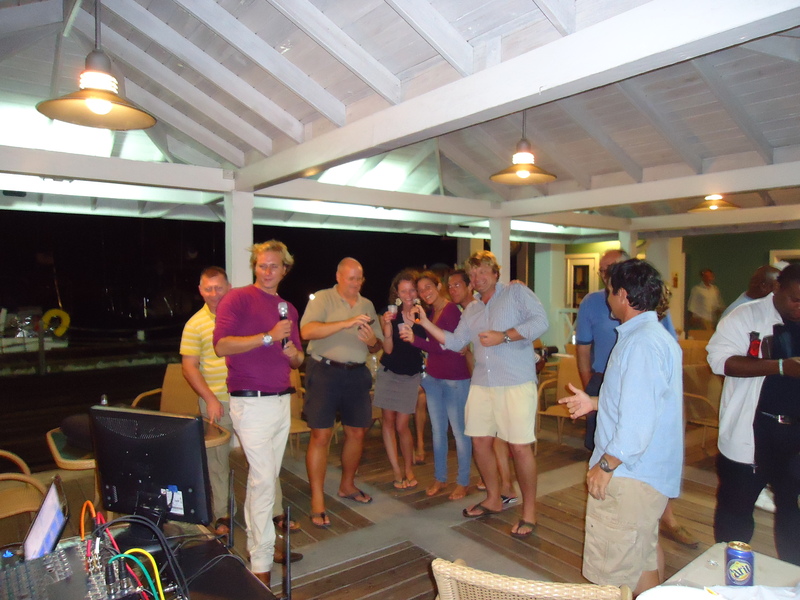 Would you like to joint the Ocean Cruising Club? As we have told you, I think, the sole qualification for full membership is having completed a 1000 mile voyage. There are many good reasons to belong, but there are also tangible values, especially on the US East Coast where there are port officers in many places, some of whom have moorings or docks where you can stop – one or two of those pays for the membership. Some also have workshops, all have a lot of knowledge about places to get things done. About half of the membership is in North America, although it is UK based. I am on the “steering” committee, whose membership is split among several continents. I would be quite happy to sign your application. More info is at http://www.oceancruisingclub.org. We also have port officers around the world, plus a lot of members. It is so nice to walk down memory lane with you as i was on the 10th Arc rally. I now have sung for the last three years, and have played guitar and harmonica since the 1970ish. I actually get paid! I do hope that we can meet up in Atigiua. hope to get there last week in Feb and stay till the end of March. 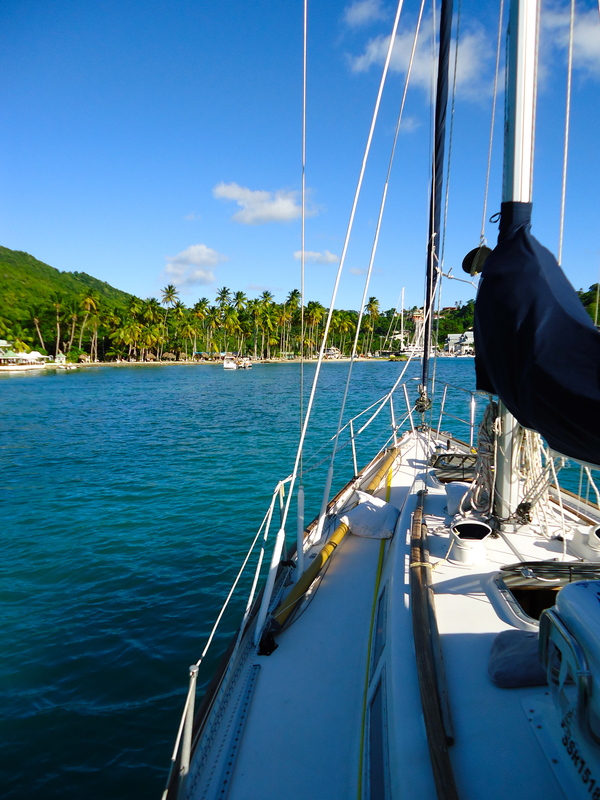 And the bonus is we have a mooring in Jolly Harbour!!! Jim Rayne and Gill Coates. John would be so pleased for you. Really pleased to hear about your plans….you look like you are having a fantastic time. 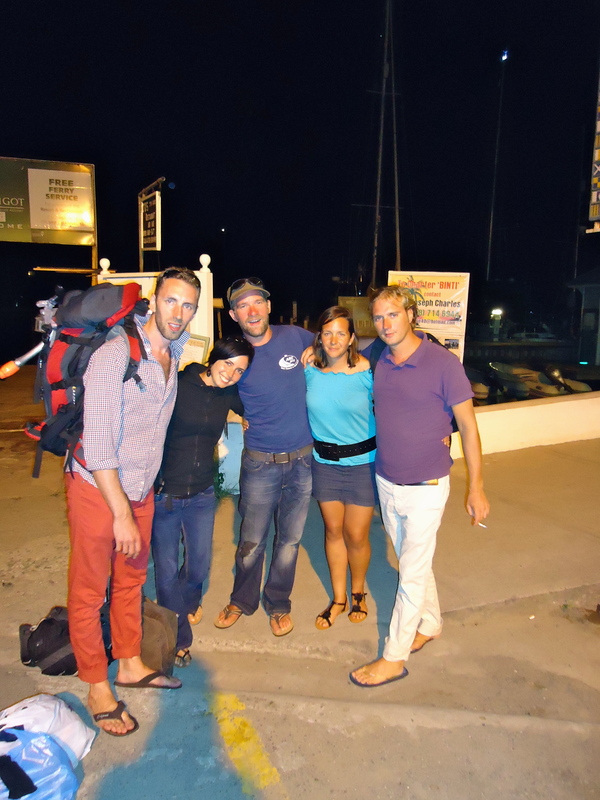 We are setting off tonight for El Hierro then over. We hope we can catch up with you soon.